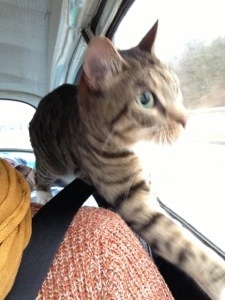 Our cat escaped from his box on our way home from Christmas. I glanced in my mirror expecting to see a lorry but instead met the stare of a wide-eyed lorus-like cat yowling on top of a pile of bags. After a few moments of wondering if we were actually living an episode of Jonathan Creek, we discovered a little emergency exit which he had accessed in his time of need. 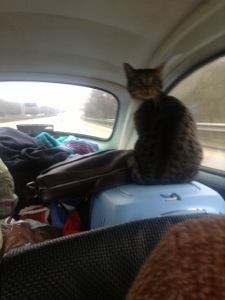 He spent the entire journey home looking out the window at the cars whizzing past us on the motorway. He seemed to be thinking This isn’t what I’d usually see when I look out the window. This is different. It’s another year, another new start and although I wasn’t expecting it be, This is different, I think.